This walking tour takes you to the intriguing yet little-known mountains of Northern Greece. You will wander through the rural countryside, among vineyards in the wide valley below Mt. Vermio and make a great hike through the dense forests that cover this mountain. Further south you explore the lush green valley of the Enipeas River that flows down from the summits of Mt. Olympos. On the southern slopes of Mt. Olympos you walk around Rapsani, a traditional village famous for the Rapsani wine production. A last walk high above the impressive Tempi Valley makes this tour a never-to-forget experience! At Thessaloniki airport, you pick up your rental car and head westward to Naoussa, a pretty town situated at the foot of the Vermion mountains, a mountain range with peaks rising over 2000m. The historical town is surrounded by orchards, producing peaches, cherries and other fruits. Naoussa is well known for its dry red wines made based on the local variety ‘Xinomavro’. The walks around Naoussa take you past vineyards and peach orchards. Higher up Mt. Vermio you find hidden churches and monasteries embedded in lush hill forests. On your way from Naoussa to Rapsani you can stop off to visit beautiful ruins at the ancient site of Dion, an important archaeological site from the Macedonian culture with monuments over 2200 years old. It is located on the eastern slope of Mt. Olympos, home to the 12 Olympian gods of Ancient Greece. Its peaks reach up to almost 3000m. In Rapsani there is a brand new wine museum which is worth a visit. Small vineyards scattered here on the slopes will produce only limited quantities. In the area around Rapsani, you do a circular route admiring forests, rivers, vineyards and a historic monastery. The last walk of this trip is a more demanding route, parallel to the lush Tempi valley, offering marvellous views over the valley and the deep blue Aegean Sea. After arrival at Thessaloniki airport you drive per rental car app. 2 hrs to Naousa and check in your hotel in the village Kopanos, a few km distance from Naoussa center in a rural area. In the evening we recommend you to go to the authentic and well maintained village Arkochori for a stroll and a dinner in a traditional Greek tavern where you might taste a good local wine ‘Damaskinos’. After breakfast you drive to the tiny village of Rodakinia, where you can have a coffee at the traditional Rakokazano near the winery. You then do an easy walk via farming tracks through peach orchards and vineyards in the Naoussa wine region to reach the well-established winery Kir Yianni. The owner Mr. Yianni, is a quirky man whose character is reflected in his fabulous wines. Nowadays he is the mayor of Thessaloniki and you will be guided around by Elpida and Charoula. You’ll taste the excellent wines, along with some snacks. After the wine-tasting tour, it’s just a 1-hour stroll back to Rodakinia. Today’s walk starts in Ag. Nikolaos, a lush green area 4 km from the centre of Naoussa. It is a huge park area next to the Arapitsa River with a waterfall and a nice wood with immense oak- and plane trees. After a coffee at a local café in this lush green park, you ascend through dense forest up to the church Prof. Ilias from where you have great views over the plains. Optionally you ascend even further until the Monastery Ypapantis. After a visit and a picnic you walk back to the church Prof. Ilias from where you descend via a different trail: a hefty descend through forest. In this section there live quite some wild pigs. You drive south today via the archaeological site at Dion, to reach your pension, ‘O Vassilis’ in Rapsani. A long section along the shore offers views to Mt. Olympos, a mythical range with peaks rising to almost 3000 m. At the foot of Mt. Olympos you can visit the wonderful site of Ancient Dion, a huge archaeological park and a green oasis for a pleasant walk. Here you’ll explore the remains of a walled city from the 5th to 3rd century B.C. The city was established by the Macedonians and it was here that Alexander the Great offered sacrifices at the Olympian sanctuary of Zeus. There are well-preserved remains of public baths, churches, palaces, a cemetery, temples, a stadium and 2 amphitheatres. Afterwards, there’ll be time for lunch at a simple tavern nearby. Then you drive further south to the pretty village of Rapsani to enjoy an evening stroll in this picturesque setting. Sample local dishes at the tavern on the village square, accompanied by a good Rapsani wine. Today’s walk starts directly from Rapsani and takes you to the village Kraniá. It’s a lovely, relaxing route on rural tracks through mountainous terrain and you’ll be treated to views of the Aegean Sea. Your walk ends in the tiny village Krania. A taxi-on-call from Rapsani will take you back to your hotel (taxi not included). Time permitting, you can visit the welcoming and informative wine museum in Rapsani this afternoon or tomorrow morning. For today you have a long walk, though not too demanding. Starting once again from the village square in Rapsani, you descend via footpaths and dirt tracks to the lush banks of the River ‘Xiropotamos’ and cross it via an ancient stone bridge. Then you continue your descent, parallel to the river, to reach the unique Monastery of Agioi Theodoroi, a perfect place for a break. You then follow woodland paths along the riverbed, crossing it now and again. At the end of the track, you pick up a dirt track, now in ascent, passing several vineyards. You pass the Nunnery at Moni Sotiros, where you may be offered the traditional ‘loukoumi’. The last section follows a quiet country lane back to Rapsani. You start off with a drive to the village of ‘Tempi’, situated on the Pinios River. You park your car near Tempi at the Dougos Winery. A pre-arranged transfer takes you to the starting point for your walk, near a historic iron bridge over the Pinios River. From there you walk parallel to the river, and high above it, mostly on the flat with the occasional section in gradual ascent. There are some terrific spots for a picnic lunch. As you start your descent down toward the River Pinios, you come to the Dougos Family vineyards. Your walk ends here, at their winery, where you pick up your car and drive to the nearby village of Ampelakia. 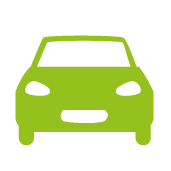 Drive to Thessaloniki airport and drop off your rental car. Extra overnight: You can book additional night(s) at any of the accommodations along the way. We can also book a hotel in Thessaloniki city for you before and/or after the trip. The Villa Anthemia consists of 3 buildings located in lush green landscape with views of Mt. Vermion. All rooms have wooden ceilings and offer all modern amenities. There is a common BBQ area in the garden and a pleasant swimming pool. On the south slopes of Mt. Olympos you find the pension 'O Vassilis' in the village Rapsani, known for its fabulous wines. The pension has 8 rooms with simple furniture and A/C. There is kitchen on the corridor for common use. Breakfast will be prepared by the owner for you and you can take your breakfast to your room. Just outside the traditional village of Ambelakia is the comfortable hotel Kouria. All 16 rooms are very spacious and offer breathtaking views over the Tempi Valley and Ambelakia Village. The breakfast offers local products and all fresh items. For your evening dinner you may opt to dine in the excellent restaurant of the hotel or go to a local tavern in the village. This tour can be booked all year round on any day of the week, September (15/9 to 10/10) would be the best period. In July/ august it is hot, though still doable if you can cope with temperatures around 30º C.
The nearest airport to this part of the mainland of Greece is Thessaloniki. It is possible to do this trip by public transport or by rental car. If you opt for public transport, we recommend you to book one extra overnight at all three locations of this tour because of the time that is involved in traveling by public transport in Greece.